Fear of getting injected comes as one of the biggest fear amongst Children. The ACCEPTOR has been developed with a vision to do away with the trauma and revulsion thatâ€™s associated with a life saving product, â€˜the syringeâ€™. 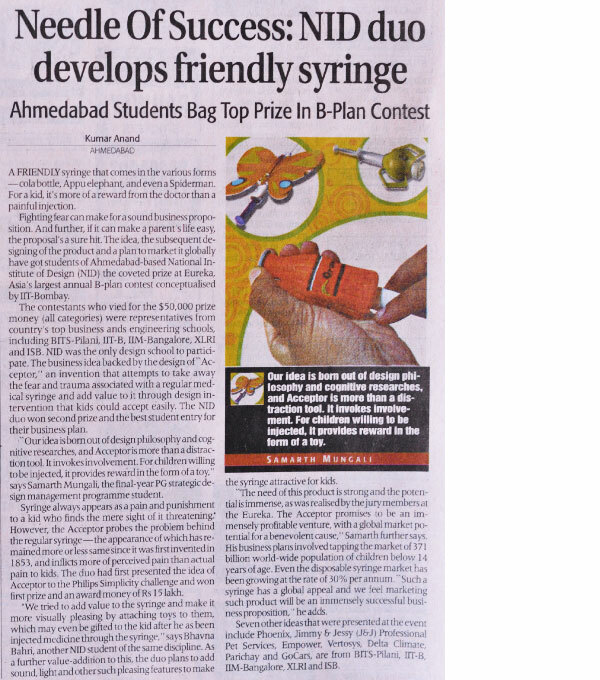 It will eliminate belonephobia (fear of sharp objects like syringe needle) and hence alleviate the lives of the numerous users of the disposable syringe. 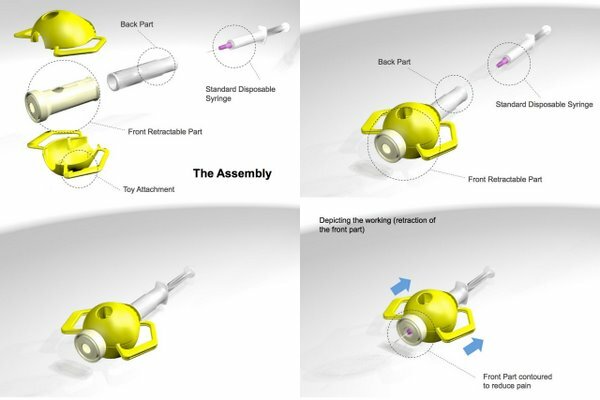 The ACCEPTOR is a masquerade for the existing disposable syringe, which will minimize the trauma attached with being injected. 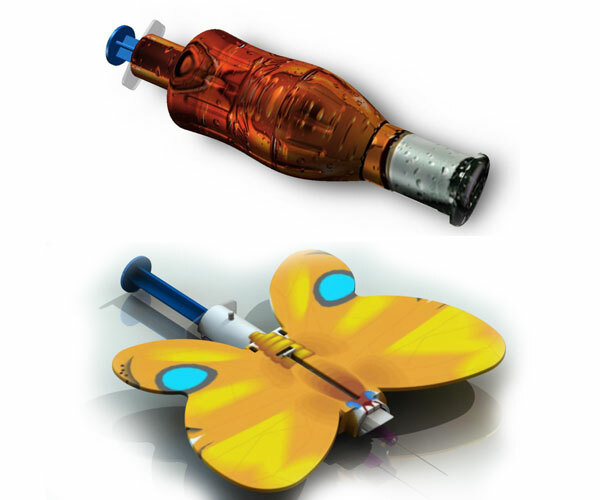 The concept will revolutionize the child-syringe experience. The ACCEPTOR range for children will take the form and appeal of toys and would be given as a bravery award to the child to take home. Strong Basic Need: The ACCEPTOR answers a strong need, felt by both the patients and the Medical Fraternity. The need is ubiquitous and global. Benevolent nature: ACCEPTORâ€™s benevolent nature goes a long way towards promoting a blissful and healthy living. Uniqueness: The effortless idea is both genuine and coherent. Mass appeal: Disposable syringe is extensively used across the world and almost everyone dreads the needle. Sustainable model: Huge market potential and the numerous shapes that the ACCEPTOR can be made into will give the product manufacturing a sustainable nature. Recession Proof: Apart from the fact that it is based on a strong need and is a value product, the very fact that it falls in the health-care sector makes the ACCEPTOR less vulnerable to the economic downturn. With the Disposable syringes having a market of about 10 billion syringes worldwide and growing at a rate of 30% pa, the market for ACCEPTOR is immense. The current global child population under 14 years is about 1,800 million. Targeting the ACCEPTOR even to this market alone shows immense opportunities. This is coupled with a non-competitive environment. Also clinical tests have established 95% preference to such a syringe as compared to a normal syringe. Testing and Endorsement of the ACCEPTOR in Europe. Patent filed for the ACCEPTOR. Widely recommended and appreciated by the Medical Fraternity. Market research indicates high acceptance of the ACCEPTOR by parents. Children waiting for the â€œToy Syringeâ€ – Doctors have reported incidents of parents asking about the availability of the ACCEPTOR. Creating a solution to counter the universal fear of syringes and to improve healthcare amongst children and others. The pain arising from the prick of the needle is the sum of the stimuli sent to our brains by our various senses and not just the skin. Pain is anticipated and imagined at the sight of the syringe.